Home / Syndikalism / Call to all #Amazon workers in #Europe: 2nd week of July… a European strike! Call to all #Amazon workers in #Europe: 2nd week of July… a European strike! 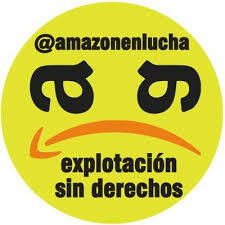 We publish the call launched by the Spanish Amazon workers to all the workers of Amazon in Europe for a day of strike in the second week of July during the Prime Day, because only by organizing a transnational strike Amazon won’t be able to use its logistics network to weaken the effects of the strike. Originally publiahed at Amazon en Lucha. You will find the call below in several other languages on the website Amazon en Lucha.